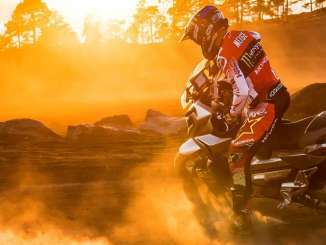 Demonstrating his sand racing prowess, Rockstar Energy Husqvarna Factory Racing’s Max Anstie wrapped up the penultimate round of the 2017 FIM Motocross World Championship in style, claiming third overall at the MXGP of The Netherlands. Collecting 38 valuable points the MXGP class rookie has moved inside the top 10 in the provisional MXGP World Championship standings. Taking place at the man-made Assen circuit, the MXGP of The Netherlands proved to be physically demanding for all competitors. Showing his fighting spirit Anstie battled his way forward from two mediocre starts and kept charging until the finish of each moto. Making a last lap pass on Romain Febvre for third in the opening moto, Anstie collected a fourth-place result in moto two for third overall at the GP. The young Brit is now 10th in the MXGP World Championship standings. One of the fastest riders circulating the sandy Assen track in both motos, Max Nagl placed fifth overall at the Dutch GP. Battling through a first lap crash to get 10th in moto one, the German got an impressive holeshot to secure the runner-up spot in the final moto. Moving up a spot in the championship standings, Nagl is now placed seventh with one round to go. Securing a pair of eighth place results, Gautier Paulin wrapped up the penultimate round of the series with seventh overall at the Dutch GP. Remaining third in the class’ provisional points standings, the Rockstar Energy Husqvarna Factory Racing rider is looking forward to his home GP next weekend in France. In the MX2 category, Thomas Kjer-Olsen was the highest placed Rockstar Energy Husqvarna Factory Racing rider claiming fifth overall in the 250cc class. Getting eighth in the opening moto, the FC 250 powered rider put in a solid moto two performance to cross the line third. Collecting 33 points the young Dane has mathematically secured a strong third place in the 2017 MX2 World Championship. Enjoying a strong moto one performance that saw the American cross the finish line in third place, Thomas Covington was faced with a mountain to climb after an early crash in moto two. Battling back to reach the finish line in 13th place, Covington secured seventh overall at the GP of The Netherlands. 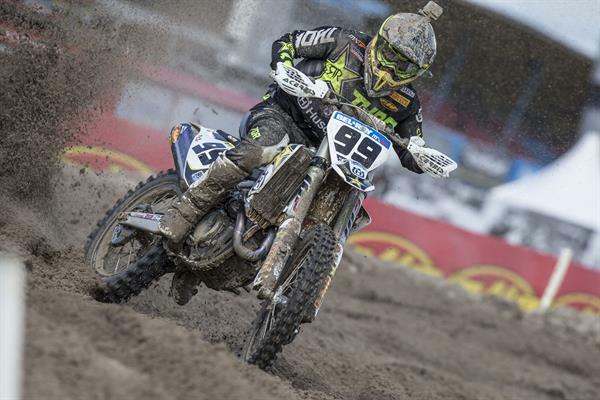 Demonstrating he had the speed to battle for the top three in both motos, Rockstar Energy Husqvarna Factory Racing’s Conrad Mewse eventually claimed 10th overall at the Dutch GP. Suffering a late moto crash while racing in third, the Brit had to settle for sixth in the opening moto. Getting the holeshot in moto two, Conrad quickly found himself leading the race. Holding on to the lead for the first ten minutes, he run low on energy eventually settling for 12th at the finish. The Rockstar Energy Husqvarna Factory Racing team will return to action at the last round of the 2017 FIM Motocross World Championship in Villars sous Ecot, France on September 15/16.